Record sales may have waned a bit during the ages of cassettes and CDs, but they’re back in full force and selling like crazy again. There’s nothing quite like the sound of the needle on an LP—is there? 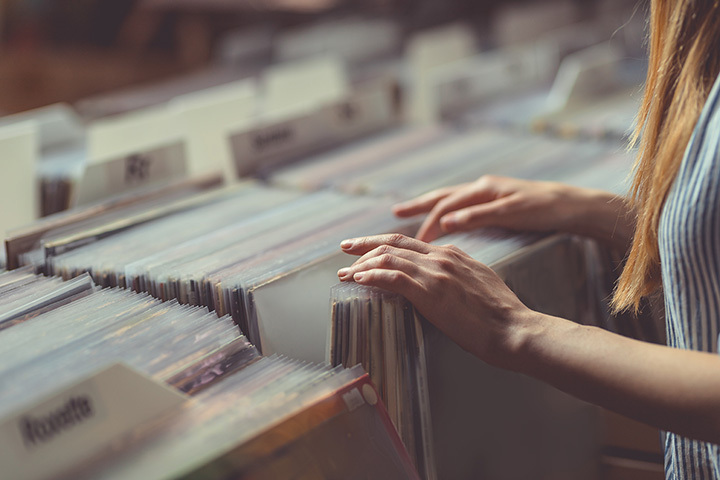 Find your favorite music at the following record stores in Maine. For both recently released and vintage music, you’ll love Bull Moose. The clerks there don’t simply ring up your purchases. They actually know music! At Enterprise Records, they understand that there’s just one way to enjoy music—on vinyl. Featuring both new and old vinyl, they share the obsession with their customers. Dr. Records has an impressive assortment of both vintage LPs and 45s. The prices aren’t bad at all, and they’ll even look for something you want if it’s not in stock. Electric Buddhas buys and sells records. They boast an array that ranges from jazz and blues to classic rock, indie and 80s. Known for their records being in pristine condition, they will try to find those not in house if you make a request. Mike’s Music buys and sells records. Most of their stock is vintage, but they occasionally get in some recent stuff, too. Buying and selling vintage records, cassette tapes and more, you’ll find lots of music you love at Strange Maine. Calling ahead is advised if you’re selling. Featuring new and used vinyl, the Record Connection has a nice assortment of music. They buy records, too, so if you have a rare relic, be sure to bring it in! Moody Lord sells all kinds of vintage records. They’re noted as being in excellent condition and affordably priced. Occasionally they have more recent music, too, so be sure to always check in with their selection. You never know what you’ll find at FinestKind Vinyl Haven. Vintage vinyl in a variety of genres is always available. If you’re looking to sell, bring in a list of records you have and see what kind of offer you can get. Featuring new and old vinyl, Newbury Comics is presently selling a line of vinyl pressings in a fun array of colors. Order not yet released music online and pick it up in the store.